The Rocket Cart is the fastest way to get products from your warehouse and onto store shelves while freeing up space at the same time. The superior ergonomics of this cart allow it to be safer and more mobile in your store than the average pallet. 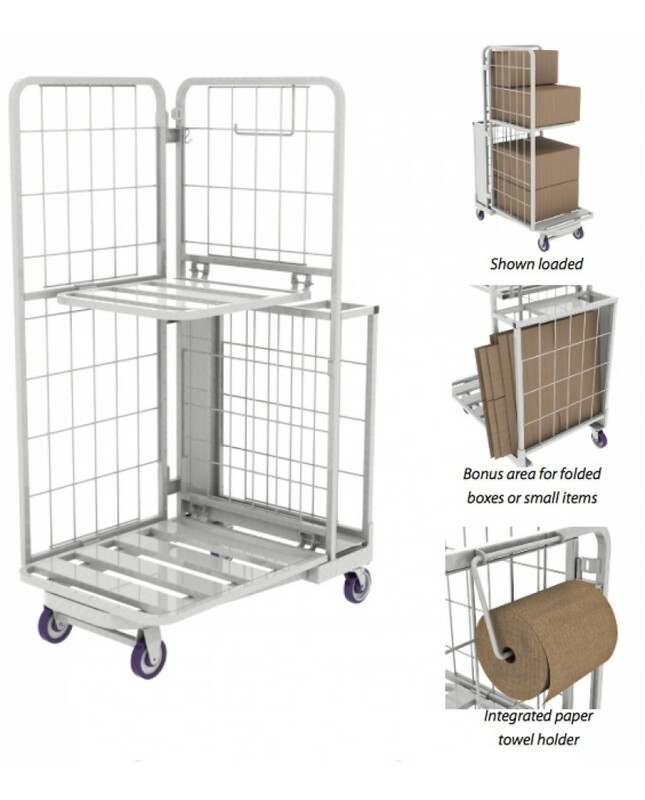 Employees will have everything they need to stock shelves at their fingertips with the included cardboard holder, paper towel holder, pull handle and flat work surface.